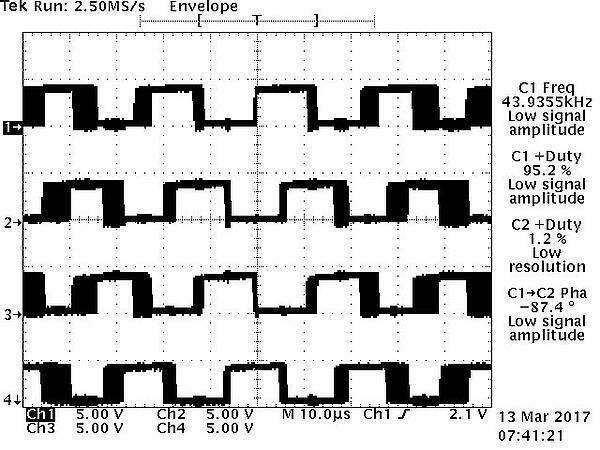 Extended encoder pulses are a phenomenon where the leading and/or trailing edges of the pulses are elongated. This can cause the counts to be read incorrectly, introducing errors into the calculation of position and/or speed. Extended encoder pulses are typically caused by mounting issues. 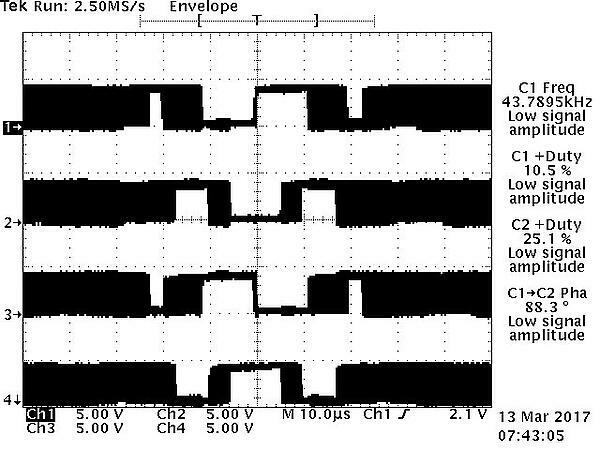 If the effect is small and restricted to only some pulses/channels, it is probably caused by a loose coupler. If the margins are very broad, the issue is more likely a loose encoder that is turning along with the motor shaft. This is a common problem with hollow-bore encoders when the encoder tether is loose or incorrectly attached. Are the margins of the pulses broadened? Do extended pulses appear on some channels or all channels? When in operation, is the encoder physically moving or stationary? Extended encoder pulses are most likely a system issue and not an issue with the encoder itself. Ensure that the encoder is properly mounted and check the shaft coupler and tether (if using a hollow-bore encoder). Make sure that it does not rotate with the motor shaft.